Sales are final for products purchased from our Clearance department . Quantities ordered are not guaranteed nor are refunds given. 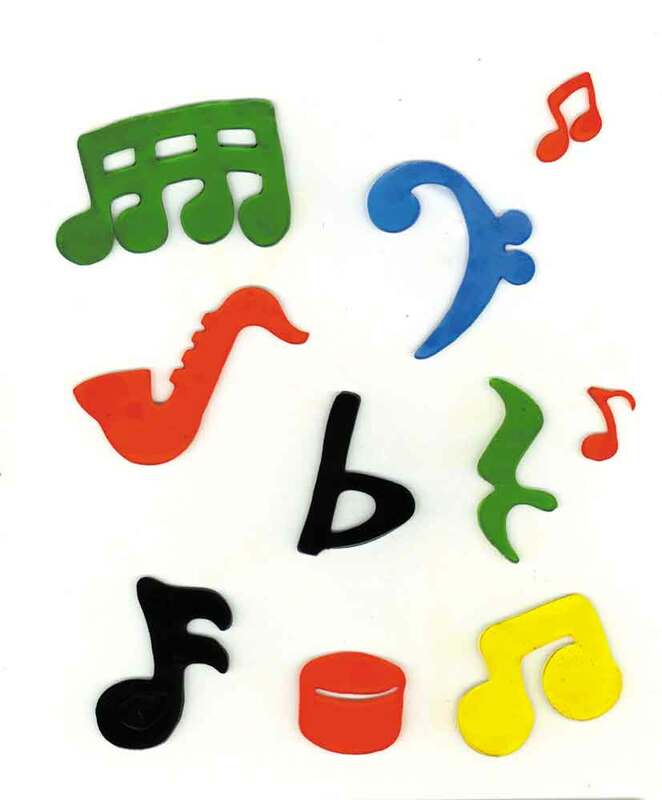 Ten plastic thermo formed multi-colored music symbols that will stick on any smooth surface. These non-toxic three-dimensional stickees will not leave any residue and are great for refrigerator, wall or window applications. Decorate your windows and mirrors with our fun Music Note GelGems. These bright gel shapes will adhere to any smooth glass surface. Size varies 1" - 3"W. Header poly pack 1.5" w x 10.5"H. Easy to wash in dishwasher liquid, rinse, dry and re-apply! Your total order must be $25 dollars or more to qualify for this clearance price. Sales are final for products purchased from our Clearance department . Quantities ordered are not guaranteed nor are refunds given.